Since 2009, the ongoing conflict in the Federally Administered Tribal Areas (FATA) and its adjoining regions has resulted in a mass displacement of its population to different districts of Khyber Pukhtunkhwa (KPK). More than thirty thousand families from these displaced communities have migrated to Kohat, a city located at around 70km from Peshawar. To support the displaced community in Kohat, Community World Service Asia (formerly CWS-P/A) in partnership with Dan Church Aid (DCA), is providing livelihood interventions to improve food security among selected migrants and host communities. During consultative meetings with the affected population, lack of skills for income-generation and food production opportunities were identified as a prime concern among the conflict affected populace in Kohat. To reduce these vulnerabilities, Community World Service Asia provided skills training fifty men and fifty women from the target communities on tailoring, embroidery, welding and plumbing. Selection of training was made depending on each trainee’s requirement and choice. Supporting toolkits to continue practice of the learnt skills were also provided to the training participants. Trainings to the fifty men were provided by implementing partners Sarhad Rural Support Program (SRSP) in Kohat. Dilawar Khan, Samiullah Khan and Shah Jee Khan are three of the selected participants of the trainings provided. The three of them shared how this intervention by Community World Service Asia has made an impact on their lives since their displacement. Dilawar, 26 years old, is married has three children. He lives in a joint family with the total of 22 household members. Before displacement his family’s main livelihood was farming on their own native land. In Kohat, they have no source of income and live in a rented house. “I am very happy for being nominated for the plumbing skills training. I practically learnt how to use all the plumbing tools and completed the training in a good environment. Before participating in this training I had no skills to earn an income for my family and myself. Today I have a skill and it empowers me to earn a better livelihood and lead a comfortable life. When I went back home upon successful completion of the training course, I started practicing the skills learnt and started doing some repair work for my neighbors and relatives in the village which enabled me to earn sufficient money. I was also trying to get work outside the village and finally one of my relatives who is engaged with sanitary tools business in Peshawar called me and employed me at his shop. 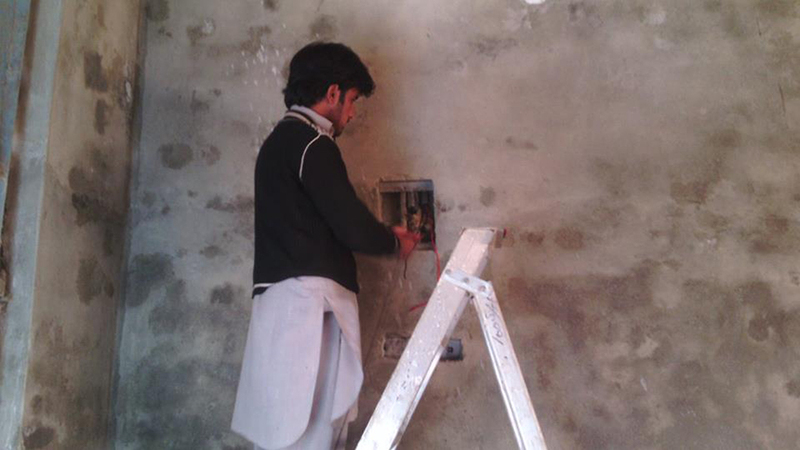 After a week, myself and three other training graduates secured a contract for completing the sanitary construction work at a newly constructed building in Peshawar at forty thousand rupees per month”. Shah Jee Khan belong to the Bakezai Banda village in Kohat. He is 29 years of age, is married and has two children. He had no source of income when he migrated to Kohat. “Vocational trainings conducted by SRSP and Community World Service Asia equipped me with the skills I needed and paved the way to earn a respectable livelihood for me and my family. When I came after completing the training course, I was contacted by my trainer who informed me about scheduled test interviews of UAE based MBC company in Chota Lahore District Swabi for hiring. I appeared for test/interviews on the mention date and time and passed it with good marks. The company selected me for the post of a plumber. I was offered a two year valid visa with a monthly salary of AED.1000, excluding allowances for overtime, food and accommodation. I was told that I shall get visa confirmation within 20 days. Before taking this training I was unemployed and was very worried about my future as I had no professional skill and work experience. I am very much grateful to Community World Service Asia for providing me with a hope for a bright future”. Samiullah Khan belongs to the Afridi Banda village in Kohat. He is 21 years of age, is unmarried and lives with his parents. 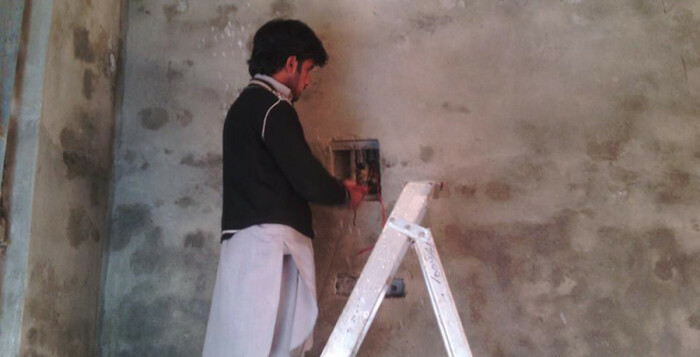 His father is disabled which is why Samiullah is the sole income bearer of the family.